Subchapter T of the Internal Revenue Code provides that cooperatives may deduct patronage dividends from their gross income, for purposes of determining their taxable income. I.R.C. § 1382. Patronage dividends are moneys paid by cooperatives to patrons in proportion to the amount of business that patrons conduct with the cooperatives. I.R.C. § 1388(a). Since cooperatives may not earn profits (see previous discussion of agricultural cooperatives), any net earnings that cooperatives generate are divided and paid to patrons in the form of patronage dividends. Businesses may only claim Subchapter T tax deductions, including the patronage dividend tax deduction, if they are (1) exempt from taxation under section 521, or (2) a "corporation operating on a cooperative basis." I.R.C. § 1381(a). In Columbus Fruit and Vegetable Cooperative Association, Inc. v. United States, 7 Cl. Ct. 561 (1985), the U.S. Claims Court was asked to decide whether Plaintiff, an Ohio agricultural cooperative, was "operating on a cooperative basis" under I.R.C. § 1381(a). Plaintiff claimed that it was "operating on a cooperative basis" and that under Subchapter T Plaintiff could deduct the $15,408 it had paid to patrons in patronage dividends from its gross income. Plaintiff's claim directly conflicted with an Internal Revenue Service ("IRS") rule. Prior to Columbus Fruit, the IRS had issued a rule stating that to be considered "operating on a cooperative basis," a corporation must conduct more than 50% in value of its business with its members. Rev. Rul. 72-602. Plaintiff conducted only 24% of its business with its members. Thus, under the IRS's rule, Plaintiff was not "operating on a cooperative basis." However, the IRS's rule was not dispositive. Courts are not required to adopt IRS rules, see Skidmore v. Swift & Co., 323 U.S. 134, 140 (1944), and Plaintiff argued that the IRS's rule was invalid because it was an unreasonable interpretation of Subchapter T.
In contrast, Defendant argued that the IRS's rule was a reasonable interpretation of Subchapter T. Defendant emphasized that Congress has had a long-standing policy of promoting farmers' cooperatives and argued that Subchapter T should be interpreted to further this policy. Subchapter T tax deductions should only apply to agricultural businesses that are run for the benefit of their farmer members and not to agricultural businesses that are run primarily for profit. Defendant reasoned that corporations that do less than 50% in value of their business with members are those that are more profit oriented than cooperative (run for the benefit of farmer members). According to Defendant, Plaintiff, who conducted only 24% of its business with members, was not "operating on a cooperative basis" and should not be permitted to take advantage of Subchapter T's tax deductions. The Court flatly rejected Defendant's argument: "The purpose of section 1381(a) has nothing to do with the policy of encouraging cooperatives." Columbus Fruit, 7 Cl. Ct. at 563. The Court found that Defendant's argument was so unreasonable that it required Defendant to pay Plaintiff's attorneys' fees. The Columbus Fruit Court held that Plaintiff was "operating on a cooperative basis" and could claim Subchapter T tax deductions--despite the fact that it conducted only 24% of its business with members. Columbus Fruit stands for the proposition that businesses need not conduct more than 50% of their business with members in order to be "operating on a cooperative basis" under I.R.C. § 1381(a). The basic distinguishing characteristic of cooperatives is their character as "trustees" of members' money. Since cooperatives may not generate profits, any net income that cooperatives generate is held by cooperatives "in trust" for the benefit of cooperatives' members. Patronage dividends are rebates owed to members who have conducted business with cooperatives. Cooperatives should not be required to pay taxes on income that belongs all along to the cooperatives' members. Defendant's error was not its assertion that Congress has a long-standing policy of promoting farmer cooperatives. There is ample evidence to suggest that Congress does have a long-standing policy of promoting farmer cooperatives. See, e.g., I.R.C. § 521 and the Capper-Volstead Act, 7 U.S.C. § 291. Defendant's error was its assertion that the purpose of Subchapter T's tax deductions for cooperatives is to promote farmer cooperatives. To the contrary, the purpose of Subchapter T's tax deductions for cooperatives is to tax solely the gross income generated by cooperatives that can be said to belong to the cooperatives, rather than to the cooperatives' members. I have heard that agricultural cooperatives have historically had a difficult time remaining financially healthy and that one way to generate sufficient revenue is to do business with non-members. I am curious whether you think agricultural cooperatives that conduct less than 50% of their business with farmers differ significantly from corporations. 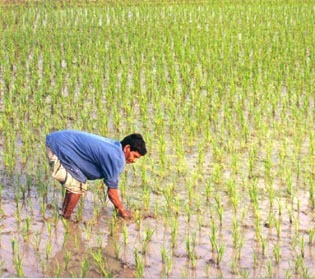 Do agricultural cooperatives that do less than 50% of their business with farmers benefit farmers? Do such agricultural cooperatives enable farmers to increase their profits, offer fairer terms in sales contracts, or provide independent farmers with willing buyers or sellers that they would not otherwise have? Are agricultural cooperatives that do less than 50% of their business with farmers democratically controlled by farmers? From the perspective of farmers, how different is it to conduct business (purchase feed, sell hogs, etc.) with a large agricultural cooperative than with a corporation? why don't these co-ops use accounting to create a situation where all patrons are members. m ake the price reflect cost + a pro rata membership fee, which would qualify the patron as a member and make the income and thus the patronage refunds tax deductible across the board?